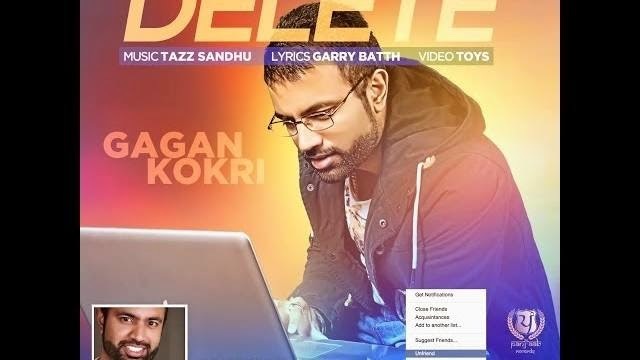 'Delete' is a fabulous Punjabi song sung by Gagan Kokri. Music of this song is composed by Tazz Sandhu and its lyrics are penned by Garry Batth. Ni Tu Kaahton Facebook Toh Delete Kar Taa..
Ni Tu Kaahton Facebook Cho Delete Kar Taa..
Ni Tu Whatsapp Utto Vi Block Kar Taa..